When news hit that L.A. traded Matt Kemp to San Diego for a low-profile catcher and minor leaguers, critics considered the move a salary dump at best and highway robbery at worst. Many wondered why MLB’s biggest spender would ever consider it. As we approach the halfway point of the 2015 season, it’s clear L.A.’s front office wanted space for its budding star in center fielder as much as it wanted an upgrade at catcher. Considering the contributions of Yasmani Grandal and Joc Pederson alongside Kemp’s performance in San Diego, the trade has saved the Dodgers season thus far. Critics of the deal — including Fox’s Ken Rosenthal — immediately dubbed the deal “one of the most inspired moves in [Padres] club history” and said on the Dodgers’ end it would be “almost impossible for them to justify this trade in the narrow view.” It hasn’t worked out that way. 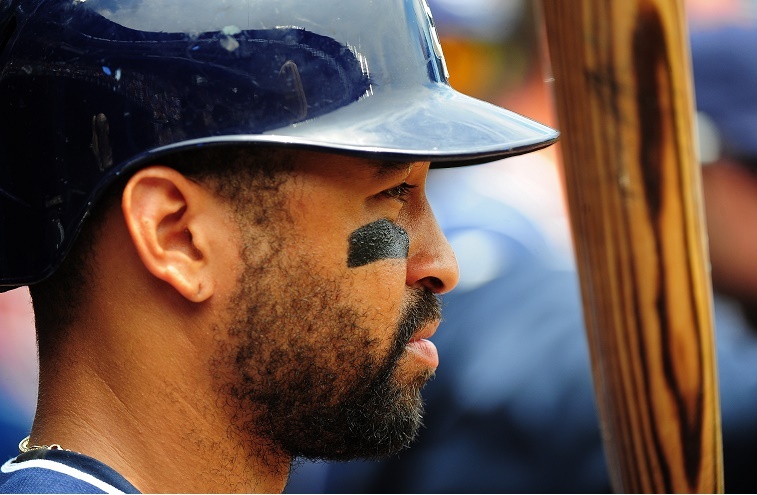 Through his first 64 games for the Padres, Kemp has been terrible, hitting .249 with 13 doubles, 2 HR, and a putrid .629 OPS. His performance in the outfield has been just as bad. The totals reveal a player with a negative value when measured against a replacement (-0.2 WAR). But his contribution for San Diego does not require any advanced stats: Kemp’s struggles in both side of the game are plain for any fan to see. On the Dodgers’ end, one could argue Grandal’s contribution (7 HR, 22 RBI, .840 OPS in 47 games) was worth a one-for-one trade for Kemp, but when you add in the Joc Pederson impact the deal is an enormous win-win for the organization. The 2015 MLB season has featured blazing performances by Bryce Harper and Mike Trout (among others), but it is difficult for anyone to compete with the Joc Pederson highlight reel this season. The 23-year-old center fielder can be seen pounding the baseball (17 HR, .929 OPS through 62 games) or robbing opposing players of hits on what seems like a nightly basis. Already, Pederson has posted a 2.9 WAR for the Dodgers. With Yasiel Puig out for much of the season and Carl Crawford checking in with his usual slate of injuries, L.A. has leaned heavily on its rookie outfielder, and he has responded in every facet of the game. Criticized for his high strikeout totals, Pederson is actually leading the team in walks as well as home runs and trails only Adrian Gonzalez in OPS. Instead, the front office got rid of Kemp (and $15 million of his annual salary) while getting a hitting catcher in his place, not to mention an everyday second baseman. But these contributions pale compared to what it has allowed Joc Pederson to do for the team. Whatever happens from here on out — and the Dodgers continue to have problems — the Matt Kemp deal has saved L.A.’s season to date. Stats, current as of June 15, are courtesy of Baseball Reference.